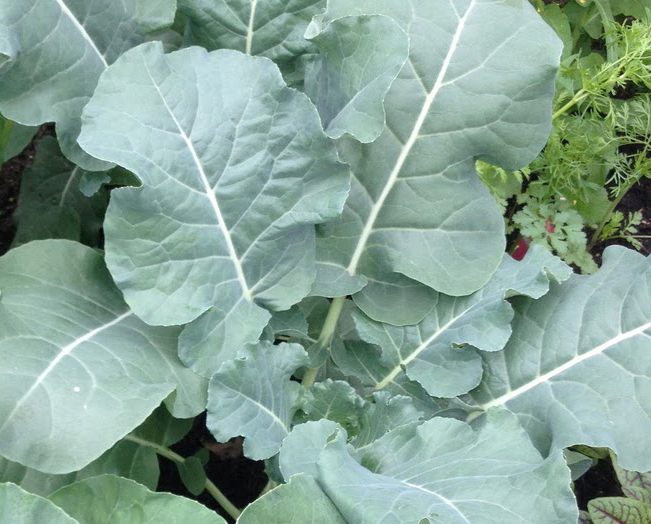 Cauliflower scientifically known as Brassica oleracea (Botrytis Group) is a cruciferous vegetable from Brassicaceae family which also includes cabbage, brussels sprouts, kale, broccoli and collard greens. According to the University of Arizona the word cauliflower comes from the Latin caulis (stalk) and floris (flower), meaning “cabbage flower”. Cauliflower originates eastern Mediterranean region. Cultivation of cauliflower started 600 years B.C. in Turkey. Cauliflower gained popularity in Europe during 16th century, while cultivation in America started at the beginning of the 20th century. 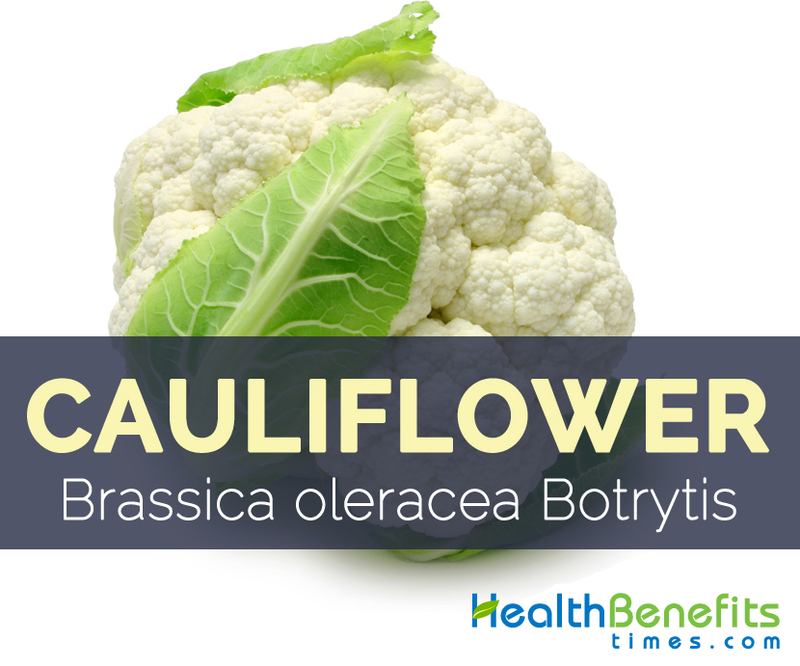 Cauliflower is also commonly known as Heading Broccoli or Perennial Broccoli. Purple Cauliflower, Orange Cauliflower and Broccoflower are some popular varieties of Cauliflower. 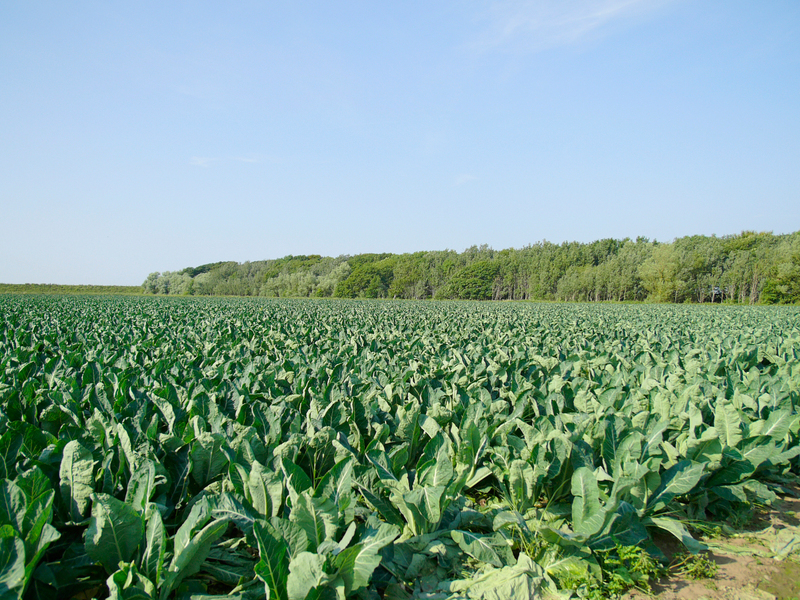 Cauliflower is an herbaceous annual plant sized 50–80 cm and higher to 150 cm when flowering. 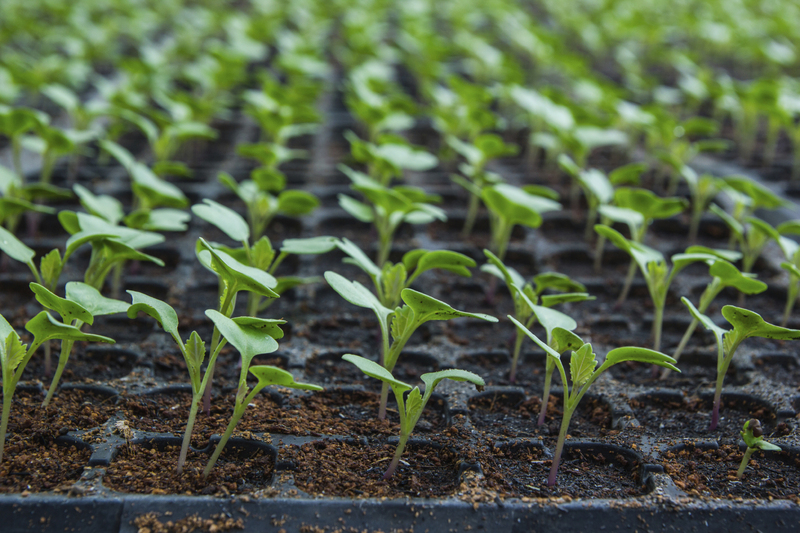 It is found growing in cool, moist sub temperate climate and requires moist, well-drained, fertile soil with significant organic matter. Cauliflower plant have cylindrical, non-fleshy stem base. Leaves are oblong, ovate, light greenish-grey, often simple and no lateral buds developed in the leaf axils. Flower is Raceme, 40–70 cm long with 4 merous bisexual flowers with green sepals, spathulate, yellow petals. It normally blooms from May to August. Fruit is silique, 5–10 cm by 0.5 cm with 10–30 globose brown seeds. 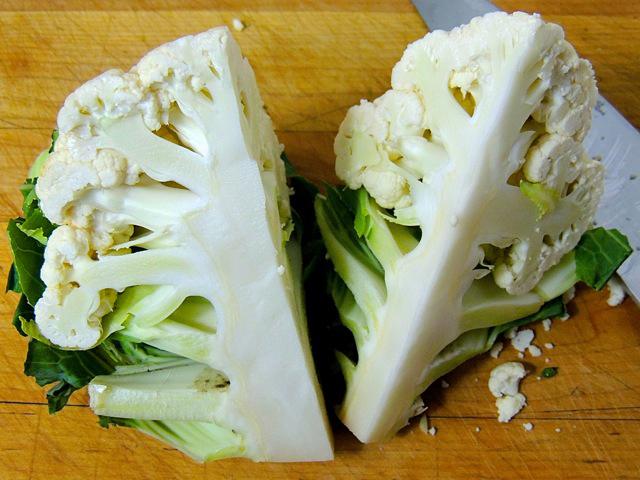 Cauliflower consists of undeveloped white florets attached to a single stem which form a compact, cabbage-like head, generally known as Curd with a typical size of 6 to 7 inches in diameter. They are usually white to cream or yellow colored or may differed according to the grown varieties. These flower buds are attached with the central stalk. When broken apart into individual buds, cauliflower looks like a little tree. White Head (Curd) is surrounded by long green leaves that are attached to the stem. Leaves normally protect cauliflower from sunlight and the head remains white. Stalk and the surrounding thick green leaves are also used as vegetable broth or thrown away. Cauliflower is a nutritious vegetable which can be consumed raw, cooked or even pickled. Cauliflower is said to have been cultivated in the eastern Mediterranean region; from there it spreads towards central and western Europe before spreading internationally, even in hot countries where it is grown in the cooler mountain areas above 1,000 m.
During the last 400 years, white-headed cauliflower spread from Italy to central and northern Europe, which became secondary centers of diversity for annual and biennial types. Apart from their distinctive taste cauliflower is a wonderful source of nutrients, vitamins and minerals. Consuming 100g of cauliflower offers 44.3 mg of Vitamin C, 0.173 mg of Vitamin B6, 13.8 µg of Vitamin K, 44 µg of Vitamin B9, 0.508 mg of Vitamin B5 and 39.1 mg of Choline. Moreover many Amino acids like 0.024 g of Tryptophan, 0.067 g of Threonine, 0.07 g of Isoleucine, 0.107 g of Leucine and 0.099 g of Lysine are also found in 100g of Cauliflower. Calories 23 Kcal. Calories from Fat 4.05 Kcal. 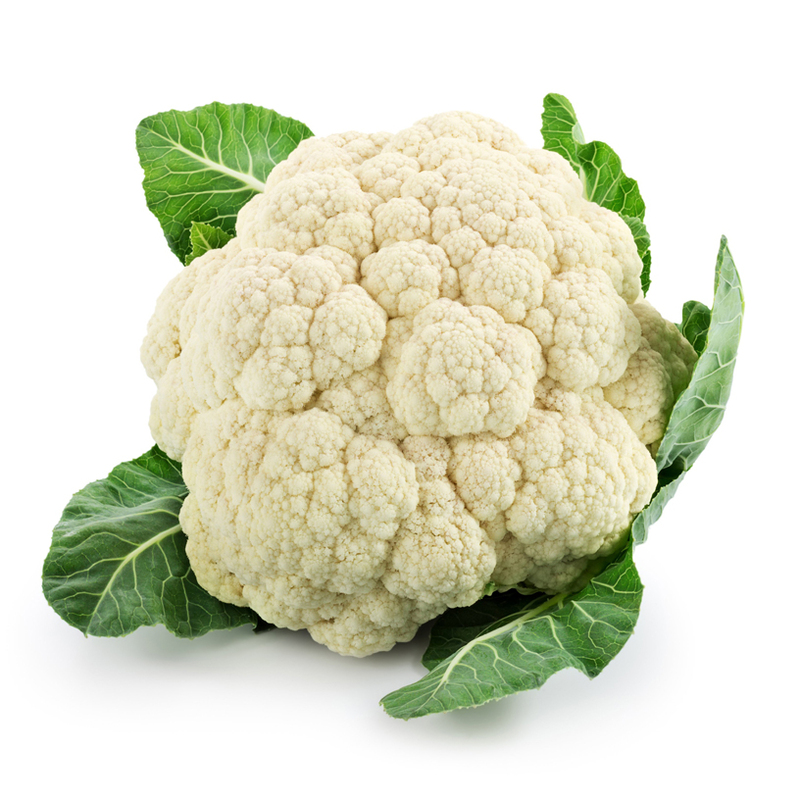 Cauliflower is an herbaceous annual vegetable that grows in cool, moist sub temperate environments. 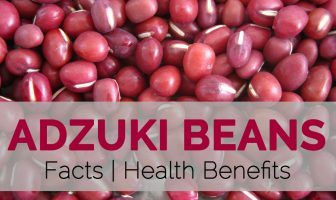 It is a compact, flattish or globose shaped vegetable full of vitamins and minerals. Regular consumption of cauliflower is beneficial for our health as it fulfills our body’s vitamin and mineral requirements easily. Inflammation is at the heart of almost all chronic diseases that we are faced so commonly today. Cauliflower is rich in antioxidants and anti-inflammatory compounds which help to lower oxidative and fight against inflammation. Cauliflower consists of Vitamin B5 which helps bodies to utilize the food we consume so as to rebuild our muscles, organs and tissues. 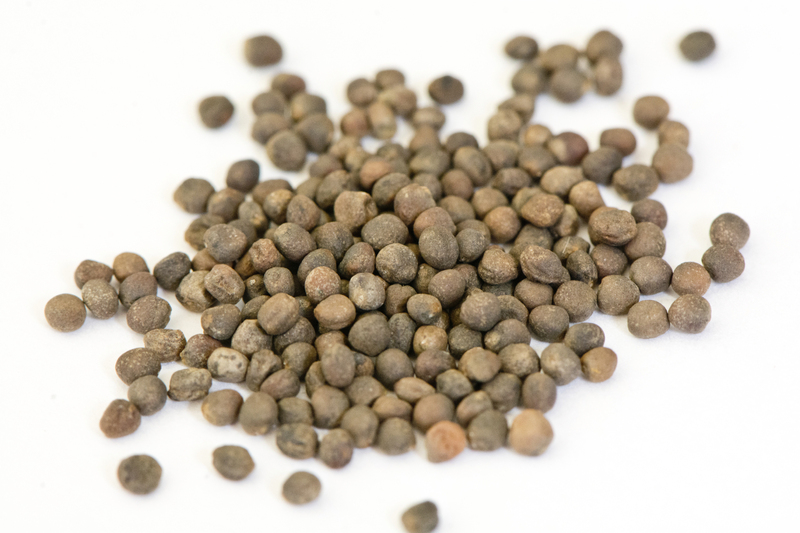 It plays an important role in digestion and nutrient extraction; digestive difficulties can be a sign of a severe vitamin B5 deficiency. And frequent use of foods high in Vitamin B’s, including B5, help keep your metabolism functioning at optimal levels. Flowering head (curds) is edible and is extremely delicious. It can be boiled, fried, steamed, roasted or eaten raw. Before cooking, the external leaves and thick stalks are detached, leaving only the florets. Florets must be broken into similar-sized pieces so they are cooked equally. Cauliflower is served with a cheese sauce, as in the dish cauliflower cheese, or with meat gravy. Cauliflower stalks are fermented to produce ‘achar tandal’ in India. Leaves are also edible but are most often discarded. Low carbohydrate dieters use cauliflower as sensible substitute for potatoes and are frequently used to produce a potato substitute known as ‘fauxtato’. Cauliflower is obtainable as quick-frozen vegetables and processed in dried mixtures of soup vegetables. It is often added to other dishes, like pasta, omelets, stews, stir fries, quiches and soups. Florets are good raw or blanched in salads or served on a crudité platter. Prolong/excessive use of cauliflower may cause swelling of thyroid gland and thyroid hormone deficiency. Purine found in cauliflower may result in kidney stones, gout symptoms, as well as other kidney difficulties. Cauliflower is an herbaceous annual vegetable which is native to eastern Mediterranean region and is found mostly in moist, cool sub temperate environment. It is full of important nutrients so we must include it our regular diet to remain healthy, fit and active. Leaf Oblongovate, light greenish-grey, often simple and no lateral buds developed in the leaf axils. Fruit Silique, 5–10 cm by 0.5 cm with 10–30 seeds. Brassica cauliflora subsp. abortiva Lizg. Brassica oleracea subsp. oleracea convar. botrytis var. botrytis L.